Search Engine Optimization is a tricky business. If you don’t do it, you will lag behind in search results and no one will ever find your site. But if you do it wrong, the results will be even worse. There are people who keep applying different SEO strategies to their websites in hopes of getting first page ranking in Google. But despite their best attempts, they fail to progress from the 20th page. Little do they realize that they are doing it all wrong. 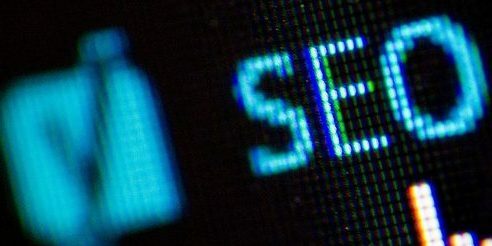 SEO is deeper than just optimizing the H1 tags and throwing in a few keywords. In this fast paced internet world, if you do SEO wrong, you risk losing visitors and getting put down by Google. Here are the top five SEO mistakes that you must avoid. Content is king and often more important than SEO itself. However, several websites copy content from other sites and pass it off as their own. This negatively impacts the search engine rankings because Google is capable of differentiating between quality content and bad content. Original but low-quality content that provides no real value or information is another mistake many websites make. When Google realizes that visitors are moving away from your site because of the poor quality of content, your website rankings will plummet. Yes, keyword research can be daunting at first, but it is crucial in determining how people locate a piece of text on the internet. Doing proper keyword research is important because it directs audiences to the appropriate content. When you use the right keywords, people will find your website more easily and have a better user experience. Throwing in keywords without proper research is keyword stuffing; not only does it harm your ranking, but could also get you blacklisted from Google search. Your website’s domain name should be catchy and easy to remember, and relevant to what the site is all about. If you are a freelancer, then you could choose a name that is relevant to your work or you could use your own name. If you run a sports website, then www.latestmovies.com is a totally wrong domain name. Website URLs like www.fun4u-1234.com are hard to remember, and have high chances of putting off visitors. A few lines of content and a whole lot of images work only when you run a photography blog. Otherwise, sparse content has a negative impact on your search engine rankings. Google ranks websites not on the basis of videos or images but on the basis of text. When the text is sparse or poorly written, the website automatically dips in search engine rankings. Regardless of how great your content is, if you target it to the wrong audience, you website will never rank in search engine results. Before setting out to create content, it is important to determine the right target audience. Only then will the content draw the right type or visitors and have a better ranking. SEO has evolved, and Google’s algorithms are far more powerful and intelligent these days to let a website rank only with the help of keywords or metatags. Avoiding these costly mistakes will help your site rank higher and draw more leads effortlessly.